I had a great time this past Saturday at the Ana (er…Anita?) Tijoux show at New Parish. Almost everyone I know has a huge crush on her and it was a thrill to see her rock the mic in person. Between songs Ana shared some interesting stories about her time in the United States and her hip-hop influences. 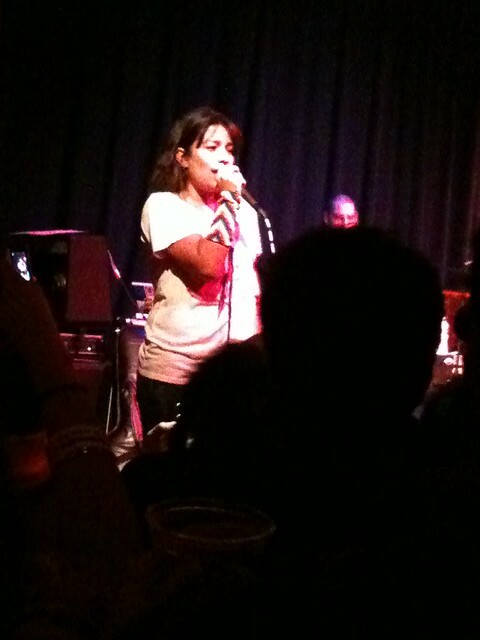 I was able to capture this hilarious story of her collisions into language barriers and a tribute to radio host Davey D.
Of course no outing would be complete with some animated gifs of Ms. Tijoux in action. Ana also has a brand new mixtape out that you can download for free by clicking HERE.